First of all I would love to apologize if the previous artwork is not in accordance with the existing licensing. Therefore I apologize for the previous artwork "Anna" (frozen) in which I used photo of cosplayers Victoria (or The Photographer's) without their permission. I never mean or intent to harm others, I only make for personal pleasure artwork and for a hobby (just for fun, never thought it became a viral), but if there are those who feel unhappy (aggrieved party) I apologize sincerly and I will be more cautious in making the artwork in the future.. 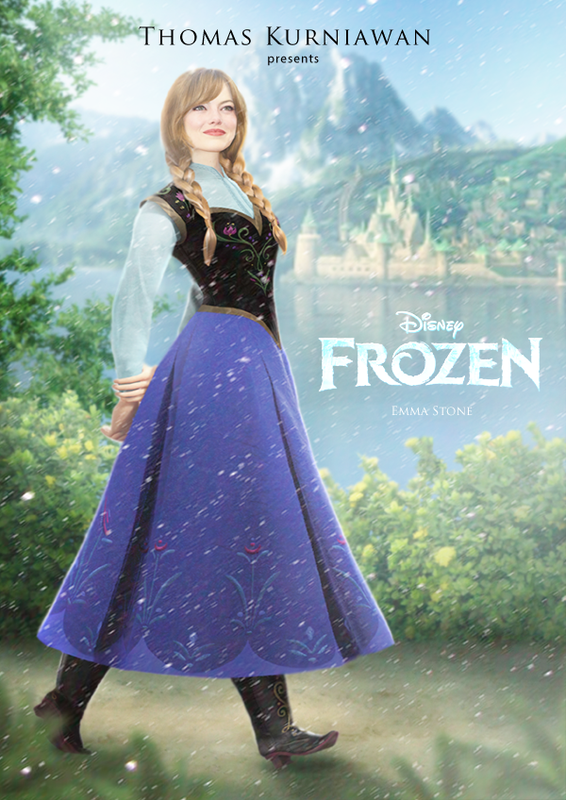 Okay.. since you guys said Emma Stone would be great for the cast of Anna, here she is..
Why not Kristen Bell? 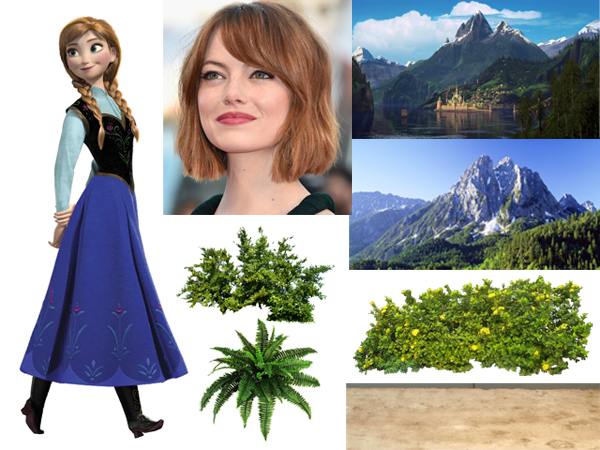 I mean she was the voice of Anna and she'd be perfect.